AUTOMATE is the premier event in the robotics industry, so it’s extremely important that we be there. What’s great about this show is we can network with our partners, integrators, and potential customers all in one place. The TVL500 6-axis and the THL300 SCARA working together to hold a golf club and putt, demonstrating how each robot can accomplish deliberate tasks that require attention to finite details. The TSVision3D software. This enables system integrators to easily automate 3D bin picking and is of great interest to industries such as food preparation, pharmaceutical, and order fulfillment. 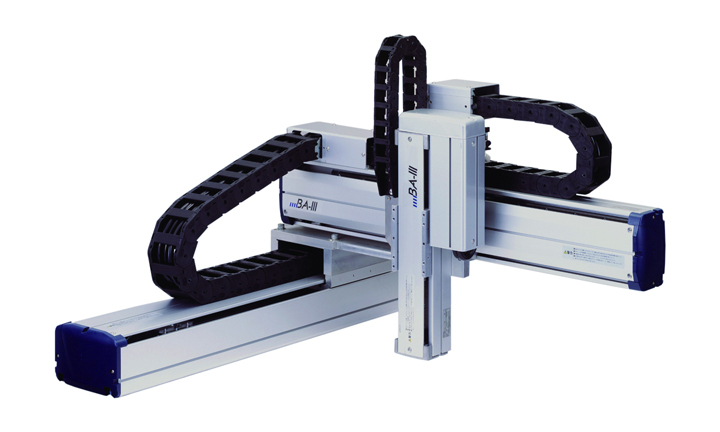 The BAIII series Cartesian, which will be demonstrated with TM Robotics’ partner ECD to showcase the diversity of the range of actuators from Toshiba Machine. The TH550A SCARA will be showcased with TM Robotics’ new partner, ASG, in screw driver assembly applications. TM Robotics will be announcing the newest 6-axis robot from Toshiba Machine. Customers are looking for light to medium duty robots to perform tasks, without breaking the bank. Toshiba Machine’s latest series was developed with that in mind. It provides significant cost savings, without sacrificing speed, repeatability, and reliability. We’ll be looking for new peripheral automation products, such as end of arm tooling (EOAT), that will enhance our offering to the customer and make the integration of our industrial robots even more user friendly and powerful than they currently are. We’re not involved in any of the sessions this year, but that doesn’t mean we’re not looking forward to a great show. AUTOMATE always ensures exhibitors and presenters have the ability to showcase their robot possibilities, which in turn assists manufacturers in gaining the most from their automation investments. With this particular show, we have high expectations. But that’s only because of how well it’s done year after year. We come to AUTOMATE to connect with colleagues and customers, to learn from the many interesting sessions, and to demonstrate our vast robotics capabilities to all that attend.